The perfect portion of emerald for your cocktail look. The Gaynor drop earrings are set on gold metal casting and a post closure. 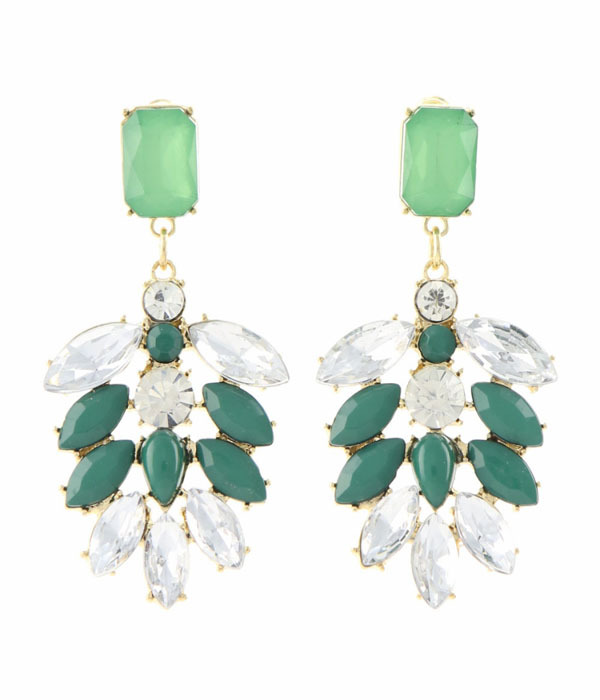 Featuring a mix of persian green crystals and apple green cabochons complemented by sparkling clear crystals. Buy now from Oz Bling, a popular and trusted online jewellery store.